I'm sure most people are familiar with Norse mythology and the legends of the Gods, but what if the mighty Gods were like normal people who lived among us? Detective Loki presents this kind of sceneario. Loki, the God of mischief, is suddenly banished from Asgard by Odin and sent to Earth for reasons unknown. Adding insult to injury, he is also transformed into a child. Told that the only way he can return is to collect the aura of evil that posess human hearts, Loki becomes a Paranormal detective. 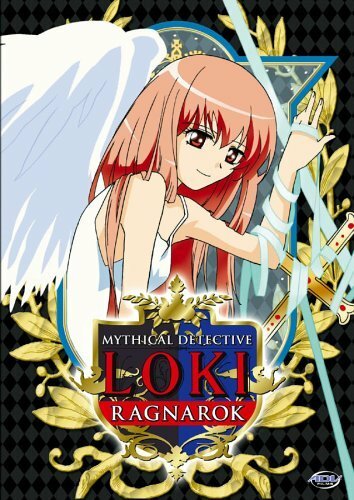 Loki befriends a human girl named Mayura Daidouji, who is also a big fan of mysteries and the paranormal. He also meets a few Gods living on Earth. As they solve mysteries, other Gods sent by Odin soon arrive with the intentions of killing Loki. But the biggest mystery is to why Loki was banished in the first place. And why do all the Gods want him dead?